Las Vegas is one of the most famous cities in the world. If you don’t have enough money to visit the city, don’t worry since Heart of Vegas slots will take you right there. This video game by Aristocrat game developers features fast gameplay, easy rules, and high payouts. It comes with 100 paylines and 5 reels. The interface is straightforward and simple for players playing Heart of Vegas for real money. There are three sections you will see on top of the reels. The credits part shows the balance of the player. The bet section shows the amount of money you have wagered with per spin. Use the buttons in this section to alter your stake. The last one is the win section which shows the profit you make in the spins. Below the sections is a paytable. Go through the paytable before you start playing to learn what different icons pay and the rules of the game. The 100 paylines are not fixed, and thus the player chooses the number of lines to bet on. The probability of landing on winning combinations will increase when you choose more paylines. The betting range in the game is quite flexible. It is made more affordable since a player can play two lines with just one credit. This lowers the minimum bet per spin to $0.50. The maximum wagering amount in this slot is $100. 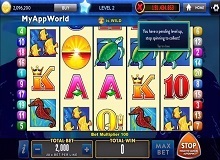 Gamers using iOS and Android-powered devices are not allowed to gamble with real money. They can therefore only play Heart of Vegas free version. The player is entitled to get a reward when they place at least three identical symbols on a winning bet line from left to right. Three coins on the reels give the least rewards. If one happens to form more than one paying combo, they will be paid with the one with the highest prize. Different symbols differ in values. J, K, A, 9 and 10 card symbols pay fewer rewards. Icons with high rewards are neon signs, musical instruments, gaudy jewellery, cocktail glasses, and showgirls. The paytable will guide you on the value of each icon. The RTP of Heart of Vegas slot machine is 96%. The special features in this slot make it quite impressive. The special symbols and free spins bonus round are the main features which draw the attention of the gamer. The bonus feature is quite lucrative making it an ideal option for players who love highly profitable casino online games. 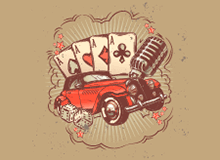 Special SymbolsEvery player should learn of the special icons in the slot before they start playing Heart of Vegas slot machine online. These icons are important since their appearance on the reels means that you will get additional wins. These symbols will either trigger a bonus round or pay high cash rewards. Heart Symbol – The heart acts as the game’s wild symbol. The basic feature of the heart symbol is to replace other icons on the screen and finish a winning combination. This wild symbol, however, does not replace the showgirl and scatter icons. The heart wild symbol also has a stacked ability during the free spins round. They get stack on the reels during the bonus round and fill the entire screen. This increases the player’s chances to win. Neon Sign – The neon sign symbol with the word ‘welcome’ on it is the scatter. The neon sign symbol will appear anywhere on the reels and still reward a random cash prize to the gamer. This scatter symbol is also responsible for activating the bonus round. Showgirl – This is the other bonus icon in the slot. It has a stacking feature which is active in both the base and bonus games. 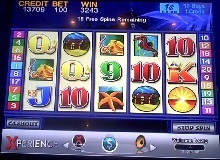 It appears stacked on the reels thus increasing not only the player’s chances to win but also the amount of money won. Free SpinsThis feature in Heart of Vegas game will become active when three or more neon sign icons appear on the screen. The player is then rewarded with a random number of extra games. All the payouts given during the free spins bonus round are added to the player’s balance. The feature can be re-triggered by landing more scatter icons during the bonus round. One will earn more profits when special icons appear during the bonus feature. Play Heart of Vegas casino slot online and experience the perfect balance between profits and fun. 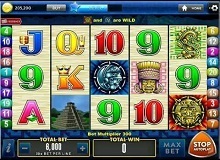 The game is available on online casinos to be played either for free or for real cash. It features clean graphics and smooth gameplay even when you play with your mobile device. The betting range is affordable, and both high and low rollers can bet comfortably.